Dr. Maryam M. Pearose is a board-certified pediatric dentist with over ten years of experience providing personalized dental care based on each child's unique and individual needs. Dr. Pearose has earned the distinction of Diplomate of the American Board of Pediatric Dentistry. Board Certification is a status granted only to doctors who demonstrate achievement of the requisite training, experience, and knowledge. Dr. Pearose is proud to provide the most up-to-date and thorough treatment for a wide variety of children's dental needs. She is also trained and qualified to treat patients with special health care needs. Pearose MM, Perinpanayagam MK, ChinKit-Wells MD. Trends in Oral Piercing in Buffalo, New York high schools. N Y State Dental Journal. 2006 Aug- Sept; 72(5):30-2.
as seen in Coast Magazine 11/2008 and 11/2009. Marla is our Front Office Coordinator. She is the smiling face you see when you enter our office. Marla moved to Orange County 4 years ago from Valencia, California and loves it. She enjoys spending quality time with her friends and family and spending her free time outdoors or traveling. Marla speaks both English and Spanish. Devon is a Registered Dental Assistant, who loves working with children. 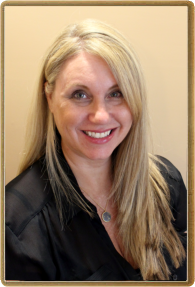 She is passionate about creating a relaxed and fun environment where children can feel comfortable and truly enjoy coming to the dentist! Originally from Illinois, Devon has been an Orange County local now for over 10 years. During her free time, she enjoys spending time with friends, going on hikes, taking her dog to the park, relaxing at the beach, and trying out new restaurants. Paula is a Registered Dental Assistant. She has been working in the field for over 12 years. She enjoys working with kids every day! Paula is originally from Colombia. She is married with two children, a 13 year old daughter and 6 year old son. In her free time she likes spending time with her family, working out, and reading.